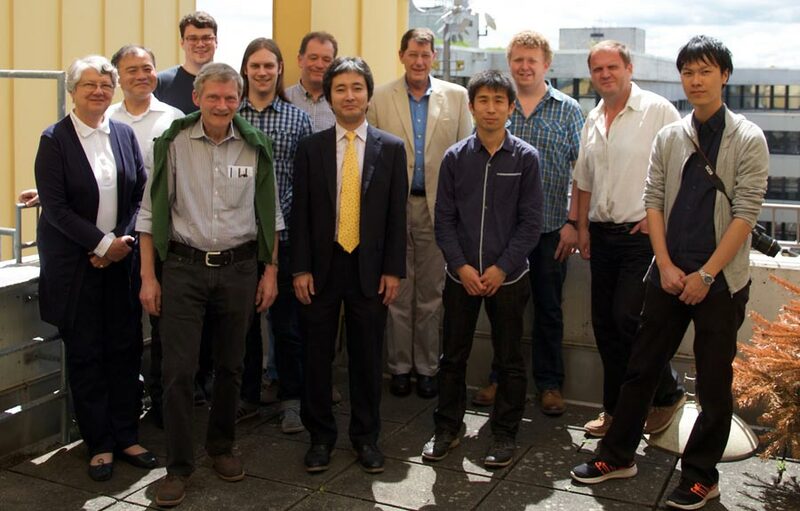 The 5th Japan-EU Open Workshop on Heusler Alloy Replacement for Iridium (‘HARFIR’) took place on Monday, 30th May 2016 at the University of Konstanz (UKON) in Konstanz, Germany. 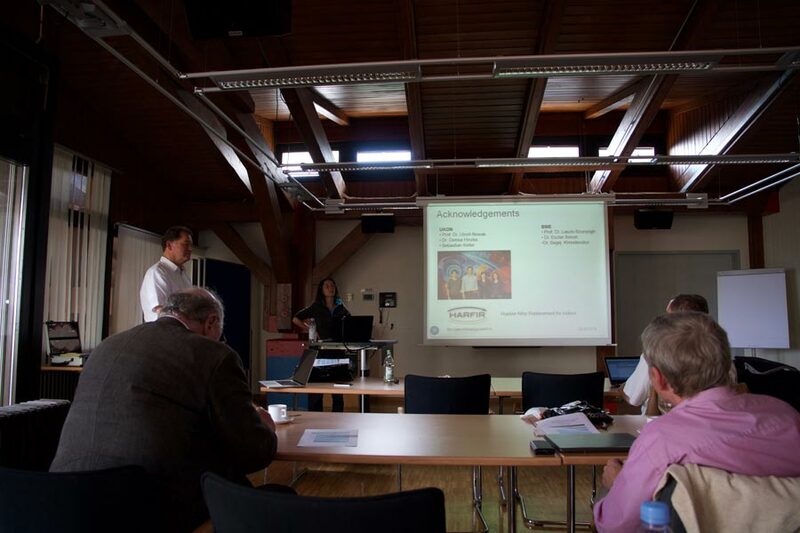 The workshop was organized by Dr. Rocío Yanes and Prof. Ulrich Nowak (UKON). This open workshop aimed to bring together scientists working in either Heusler compounds or exchange bias fields. From the project members, recent progress for the investigation of antiferromagnetic Heusler alloy films was reported. In addition, two guest speakers, Prof. Jürgen Kübler and Jun. Prof. Markus Meinert, were invited as external experts to present their latest research. The workshop was attended by representatives of all the groups involved in the HARFIR project. We also noticed the participation of a small number of external interested parties. The symposium started with opening remarks by Prof. U. Nowak (Uni. Konstanz). Following the opening, Prof. A. Hirohata (Uni. York) explained the use of Heusler alloys for spintronics devices, focusing on Co2FeSi, Co2FeSi/Pt and Ni2MnAl/Co2FeSi systems. After the talk by Prof. Hirohata there was a small coffee break where the participants exchanged thoughts and ideas. The second part of the morning session suffered a small change with respect to the original agenda. Prof. K. Takanashi could not come to the workshop and was substituted by Dr. Kubota (Uni. Tohoku) who gave two talks explaining the possibility of use of Heusler alloys in spintronics, and explained their results on a Mn2VAl/Fe system. Additionally, Prof. K. O’Grady gave a short talk regarding the different origins of the exchange bias (EB) effect in granular and epitaxial systems and how to improve the EB using pinning defects. After lunch, the afternoon session started. Two talks were given in this initial part of the afternoon session. First, Prof. K. Ono (KEK) presented their latest results on the magnetic structure of Ni2MnAl and CrVTiAl systems. In the second talk, Dr. J. Balluf (Uni. Bielefeld) showed their recent work on Heusler alloys (Co2Fe Si, Vn3-xGa, Mn3-xGe, Ru2MnGe) for spintronics applications. The last session of the workshop included three talks, two of them invited. Prof. J. Kübler (Technische Univeristät Darmstadt) gave a talk on the Hall effect in Heusler alloys and the existence of Weyl points in ferromagnetic and antiferromagnetic Heusler alloys. The next talk, given by Jun. Prof. M. Meinert (Uni. Bielefeld), was devoted to recent work on inplane and perpendicular exchange bias with antiferromagnetic MnN. The last speaker of the workshop was Dr. R. Yanes (Uni. Konstanz) who showed her recent work on the magnetism of MnN and MnN/Fe systems. 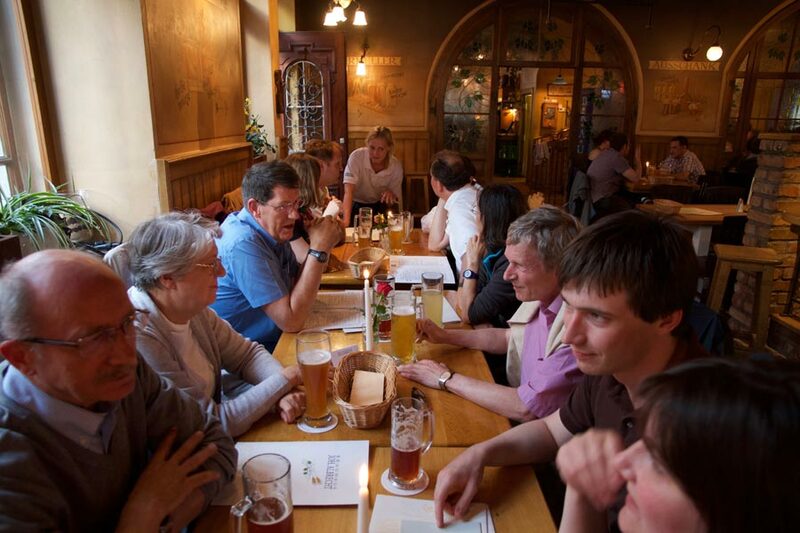 Finally, the discussion continued over dinner at the Brauhaus Joh. Albrecht, Konstanz.